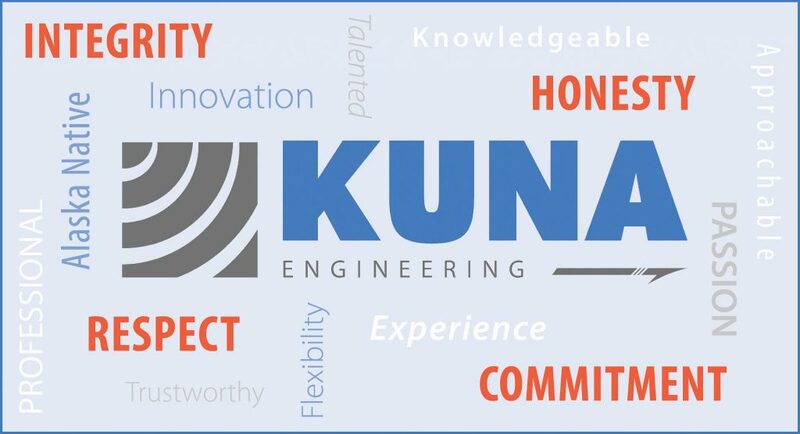 Kuna Engineering was originally incorporated in 1981 in Barrow (Utqiagvik), Alaska, to serve the infrastructure development needs of the Native communities on Alaska’s Arctic Slope. Since that time, we have served tribal communities throughout Alaska and the western United States. We’ve had a couple of name changes (ASCG and WHPacific, Alaska Operations), but we’ve remained true to our calling to work with American Indian and Alaska Native communities to meet their development needs. 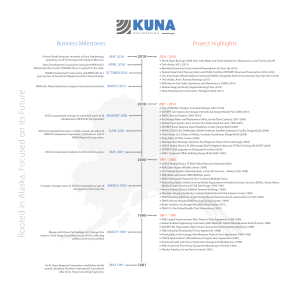 Kuna is a 100% Alaska Native-owned company and our team has served as a subsidiary of NANA Development Corporation since 2005. NANA is owned by more than 14,300 Iñupiaq shareholders. The ancestors of NANA shareholders have inhabited northwest Alaska for over 10,000 years. Iñupiat means “real people.” The Iñupiat have close ties to the land, and to each other. NANA and its subsidiaries are aligned by a shared responsibility to our shareholders and corporate mission as well as a firm commitment to excellence in all areas of business operations. This exceptional performance enables NANA to enrich the lives of its shareholders in the region and beyond.